An icon-driven menu, a video chat feature, an apps marketplace Firefox Marketplace: What You Need to Know Firefox Marketplace: What You Need to Know Have you browsed for apps in the Firefox Marketplace or did you not even realize the site existed? Here is what you can expect from the site and its desktop-specific apps and games. Read More – Mozilla’s Firefox has introduced some interesting changes this year. With the release of versions, 38, 38.0.5, and 39 within a span of three months, we now have a few other tweaks contend with. 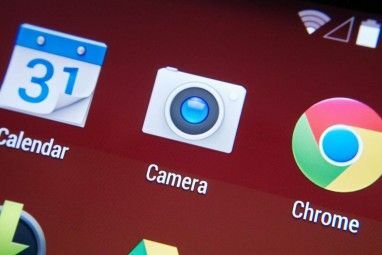 Do back up your browser settings and data first to avoid ruining your browser setup Warning: 5 Mistakes That Will Ruin Your Browser Setup Warning: 5 Mistakes That Will Ruin Your Browser Setup Your browser setup is a fragile thing. One "oops" moment and you'll have to say goodbye to it. Don't let that happen to you. Read More in case something goes wrong. With that bit of prep work out of the way, here’s a look at what you can now do in Firefox. 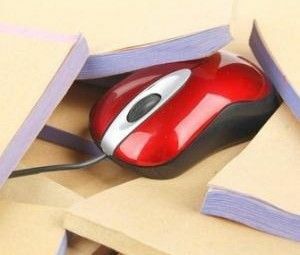 You no longer have to rely on a third-party extension like Evernote’s Clearly or Readability to view Web pages in a clean and distraction-free format. Firefox’s Reader View button (Firefox 38.0.5 and above) does pretty much the same thing. Look for an open-book icon toward the right in the address bar on Web pages. Click on it and you’ll see a barebones version of the current page. To switch back to the original view, click on the icon again, or you could click on the Close Reader View button in the sidebar. Want some control over the type? There’s a second sidebar button for that. Use it to choose between a serif or a sans-serif font and vary the font size till you find it comfortable for reading. You can also pick from three visual styles: light, dark, and sepia. Of course, you just have to make these changes once. Now, over to the bit where you get rid of the Reader View function. Why would you want to do this? I can think of three scenarios. Whatever your reason for wanting to disable the Reader function, this is how you can. From about:config, change the value of reader.parse-on-load.enabled from true to false. Ensure that reader.parse-on-load.force-enabled is also set to false. If it isn’t, it will override the previous setting and keep the Reader view enabled. The integration of Pocket, a popular read-it-later service, with Firefox in the 38.0.5 release came out of the blue. It did not go down well with Firefox lovers, and also ended up reported as a bug. But it’s here to stay and many users are choosing to embrace this new functionality. Those who find it annoying have found a way to disable it. If you’re not happy with this integration either, you have some tweaking to do. Head to about:config, search for browser.pocket.enabled, and change its value from true to false. Hide Title Bar is a much-loved feature that, for some reason, made an exit in one of the earlier Firefox versions. It’s back now! This means you don’t need an extension like Hide Caption Titlebar Plus to hide the top bar. To do so, click on Customize from the main menu. In the box that opens up, look for the Title Bar button next to the Show/Hide Toolbars and Themes buttons. Click on that button once and there you have it. More screen space, with that top bar gone. Click on the Title Bar button again if you want bring the top bar back. I’m guessing you don’t need to unless you like to keep the name of the current Web page front and center. If you think Firefox Hello is just the thing you need for easy video chatting Meet Firefox Hello Video Chat & Firefox Marketplace In The New Firefox 35 Meet Firefox Hello Video Chat & Firefox Marketplace In The New Firefox 35 Firefox 35 introduces a cross-platform video chat service called Firefox Hello, lets users beta-test the new Firefox Marketplace, and also bakes in social sharing on the web. Read More , you’d be right. It’s simple, works in any WebRTC-enabled browser, and does not need you to sign up first. Now, if only it allowed you to share your screen… Well, starting Firefox 38.0.5, it does allow that! Also, version 39 onward, you can even share Hello URLs with social networks like Facebook and Twitter. 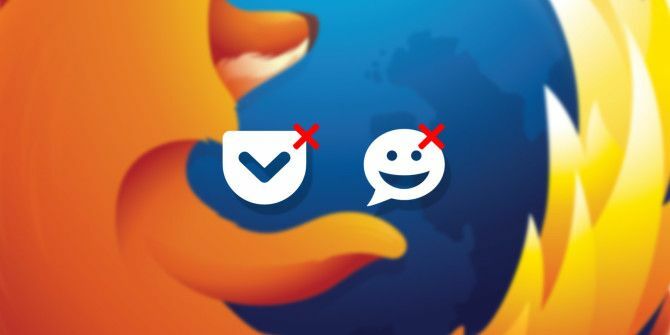 Let’s hope Mozilla keeps up the good work and introduces the other much-needed feature – group chats. It is said to be on the roadmap, but timelines are vague as of now. For those of you who don’t need the functionality of Hello, getting rid of it is easy. Search for loop.enabled on the about:config page and change its value from true to false. Before you wonder why the change isn’t taking effect, restart Firefox. That does the trick. Firefox’s Preferences section got a facelift in Firefox 38. It now appears in a nice-looking, tabbed avatar. Did you know that this tabbed style was right there all along? Only, it wasn’t the default. Now it is, and I love this new look, with its dark grey sidebar, white icons, and easy-to-navigate sections. If you prefer that old floating-box style to view the browser Preferences, you can get it back. Look for browser.preferences.inContent in about:config, and change its value from true to false. When I updated from Firefox 38 to 38.0.5 on a Windows PC, I found the location bar and search bar rolled into one. I thought it was a new Firefox feature until I discovered that an extension called Omnibar was responsible for the change. It had appeared automatically when I updated the browser. My colleague Ivana confirmed that she saw similar behavior with the 38.0.5 update on her Linux system. But in her case, the extensions that appeared were Valence and ADB Helper. I haven’t found a satisfactory explanation for this so far. Have you noticed something similar? If you’re happy with the changes Firefox is making, that’s great! If you’re miffed about them, you can more or less go back to “the way things were” How To Restore The Classic Firefox Theme In Firefox 29 How To Restore The Classic Firefox Theme In Firefox 29 "What happened to my tabs? And what is this hamburger-Chrome-looking button in my Firefox toolbar??" 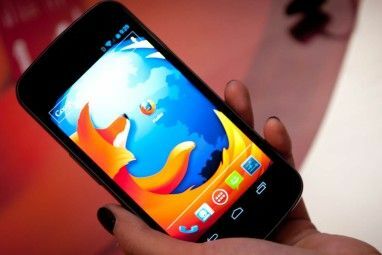 Here are some answers for Firefox users who woke up one day to find themselves using Firefox 29. Read More . That’s the advantage of using an ultra-customizable browser 6 Customization Tricks Only Possible In Firefox 6 Customization Tricks Only Possible In Firefox Firefox is a great browsers for many reasons, but one of the most important reasons is how it can be customized. Here are a few important tricks that prove you should be using Firefox. Read More like Firefox. For now, we can only hope that Firefox 40 has something satisfying for all of us. Let’s keep our fingers crossed for a better balance between new features and older ones. Which features would you like to see next in your beloved Firefox? Do they already exist in other browsers? Do you think Mozilla can execute them better? Share your ideas in the comments. You never know who’s listening for them. Great article! How can I remove the status bar on the lower left of the screen that shows http addresses that are loading? This thread on Mozilla's support forummight help. So it has! Thank you for pointing that out, Glenn. We'll update it in the article. I disabled both the Pocket and the Hello functionally. I use Reader View sometimes, even used it to read this article. I also like the new Options tab, taken from Chrome. I'm with you on that point, ringhalg. Being able to add functionality you need is so much better than having everything enabled for you by default. I also like the Reader View and tabbed Preferences, but have no use for Pocket and Hello. Let's hope we get something like one-click toggle settings for unused features in upcoming FF versions.